Give the gift of silky smooth skin to your friends or family…or keep them all for yourself! These recipes couldn’t be easier to whip up and they’re the perfect last minute gift idea. 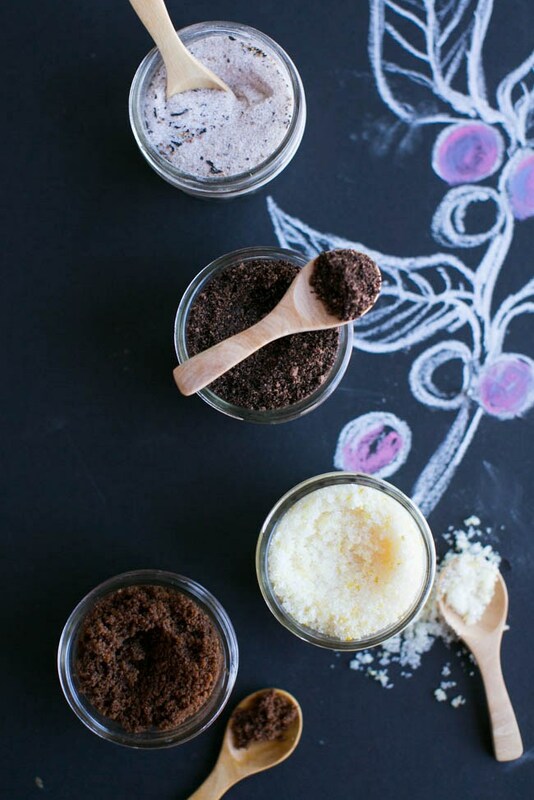 Just mix up the ingredients in a pretty glass jar and don’t forget to label them! 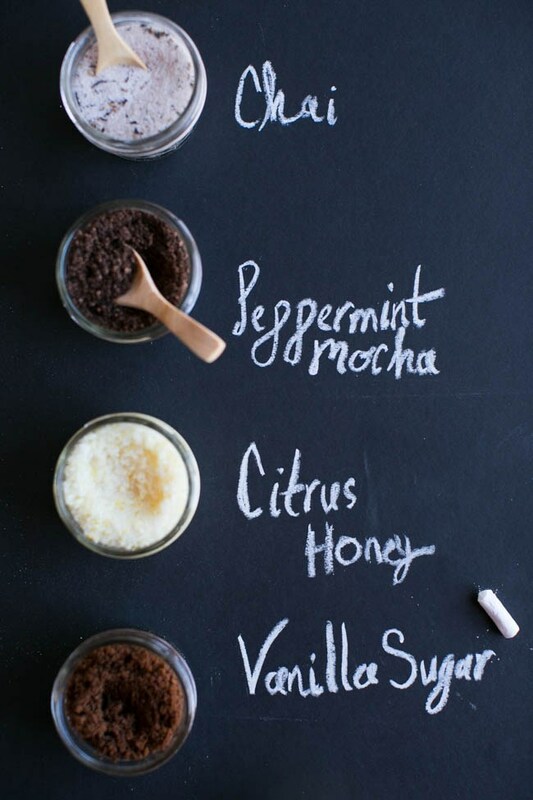 Peppermint mocha – yes please! And I have everything to make it! Word! That’s what’s up, Jennifer! I hope you enjoy!! !